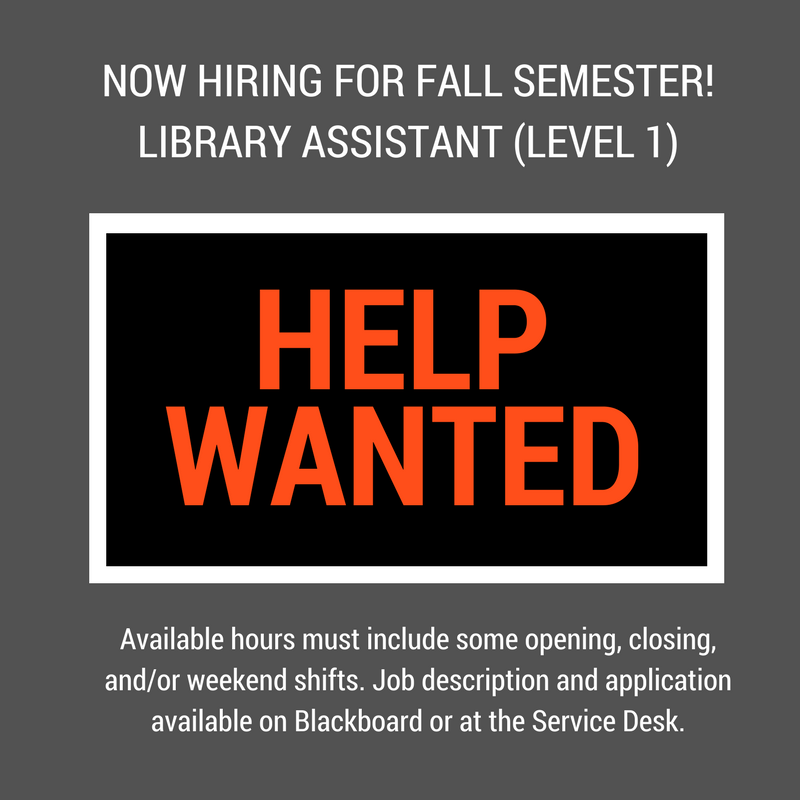 Looking for a way to celebrate (almost) making it through your first week of the new semester? 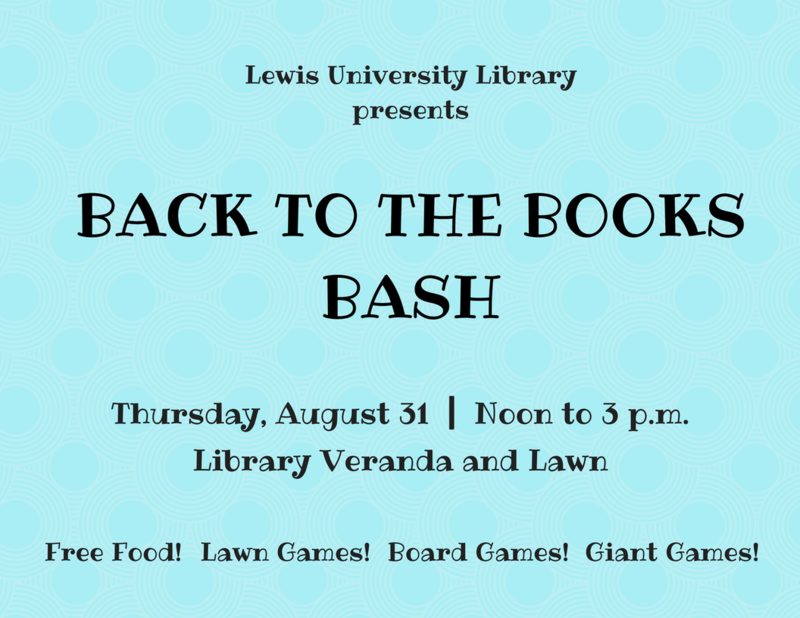 Mark your calendars for the Lewis University Library’s first annual Back to the Books Bash, coming up on Thursday, August 31 from noon to 3 p.m.
Join us on the Library Veranda for free food and games of every kind–board games, lawn games, giant games, and more. We will also be firing up the button maker if you’re feeling crafty. For more information about the Back to the Books Bash, contact Lindsay Harmon at harmonli (at) lewisu (dot) edu or ext. 5672. 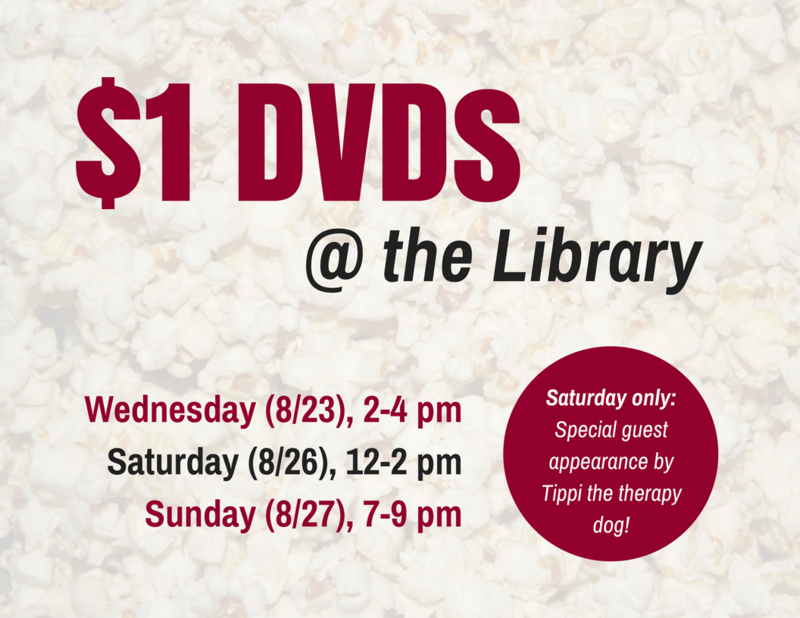 It’s Welcome Week at Lewis University! 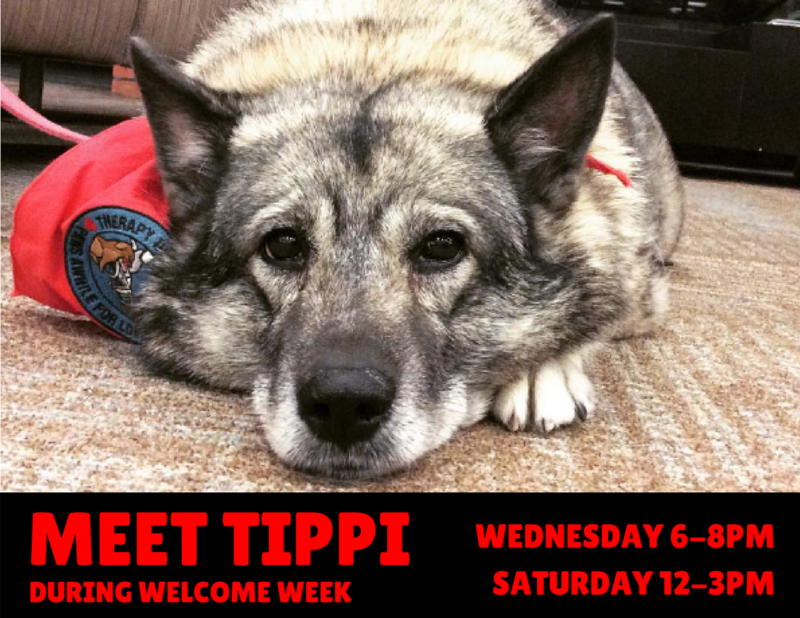 Check out the full schedule of events online, and make sure to stop by the Library this weekend to visit Tippi and/or stock up on $1 DVDs!